David Simkin is a photo-historian who runs the Sussex PhotoHistory website. He will be talking about the photographers who were active in the town of Lewes and the surrounding villages of Cooksbridge, Halland, Newick and Ringmer between 1851 and 1910. 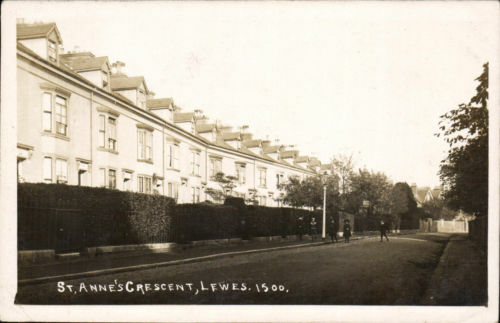 The talk will cover the history of professional photography in Lewes from June 1851, when daguerreotype portraits were taken on Brack Mount, up until 1910, when the firm of A. M. Bliss & Co. of Lansdowne Place, Lewes, was selling “real photograph” picture postcards of Lewes, Alfriston, Barcombe, Plumpton and Upper Dicker. David will concentrate on the lives and careers of established professional photographers such as Daniel Blagrove and Edward Reeves, but he will also look at the work of amateur and part-time photographers such as Edward Bedford (1865-1953), Henry John Bartlett (1875-1965) and William Baker Funnell of Newick (1848-1938).He will illustrate his talk with primary sources and examples taken from his large collection of photographs taken in Lewes and surrounding villages in East Sussex during the Victorian and Edwardian period. The following events have been planned for 2014. Pre-booking is essential, either via the form on the Visits Page, at one of our Monday meetings, or through Paul Waller (phone 01323 872088). There is a charge for most events. The Imperial War Museum is taking advantage of the centenary of the Great War to collect additional material about the lives of the soldiers and others who participated in the war, or the war effort. Only part of the story is available from official records. If you hold family or other information that would help to piece together the life stories of the 8 million men and women who made a contribution they would be very pleased to hear from you. For further details please see this website. “WANTED, two stout steady Lads, as Apprentices to the Sea, for the term of three years. I hope it isn’t due to the History Group’s influence that when interesting and unusual postcards of the town appear on ebay, such as this card with a 1909 postmark offered for sale in May, prices seem to go through the roof. This postcard sold for over £40, while the postcard featured in Bulletin no.46, showing the landslip on Cliffe Hill, sold for just under £60. “Correspondence with reference to the nine empty houses on Keere-street was read at the meeting of Lewes Town Council on Wednesday. The matter was raised by Alderman G. Holman, who stated that it was of great public importance, and he asked that the correspondence with Colonel Campion, M.P., and the enclosure from the Parliamentary Secretary to the Local Government Board mentioned in the report of the Sanitary Committee, should be read. Editor’s note: Nine Keere Street houses for £200 seems a remarkable bargain, even given the date, and rather suggests that they may have been in very poor condition. 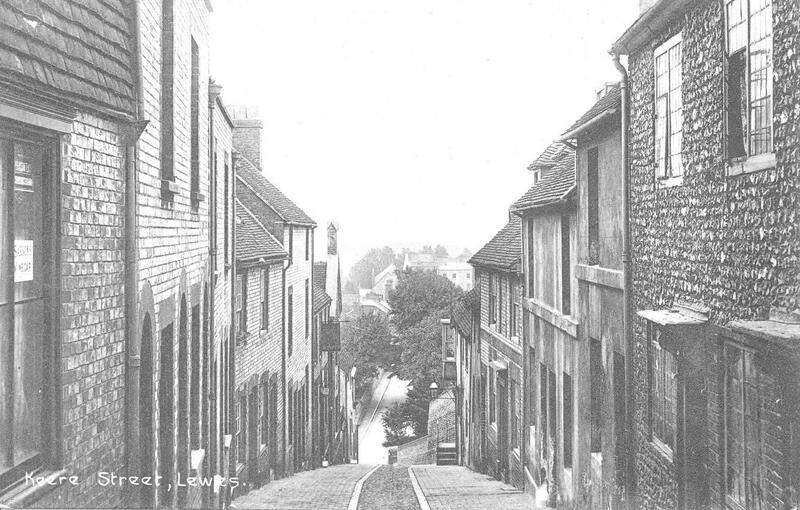 The Lewes Past Facebook site continues to include an array of photographs of old Lewes. 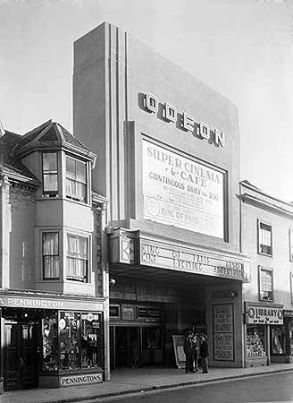 These have included these two images of the Odeon cinema on Cliffe High Street, whose closure and subsequent demolition was such a loss to the town. 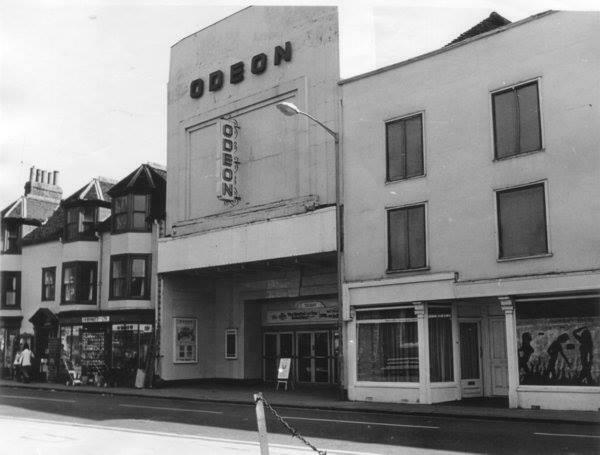 It was open from 1934 to 1971 and was demolished in 1982. The picture above was posted by Paul Johnson, and that to the right by Rob Elliott, one of the creators of the site. They show rather different views, with the whole area more run-down in the (later ?) main picture, but unfortunately neither carries a date. This entry was posted in Art & Architectural History, Cultural History, Digital Repositories, Lewes, Local History, Social History. Bookmark the permalink.